While Google has been long rumored to be developing some kind of new set-top box, a recent acquisition might be pointing at the company's interest in gaming outside of just software. Some may not remember the now defunct gaming platform Green Throttle Games with its Android game controller, but Google certainly does. The search giant has now confirmed that it has purchased Green Throttle Games, or at least a portion of the company. While the financial details have not been disclosed, we know Google will take on Green Throttle's parts and labor as well the company's two co-founders, Matt Crowley and Karl Townsend. The third co-founder, Charles Huang, is said to retain the rights to Green Throttle but doesn't appear to be moving to the Google team. 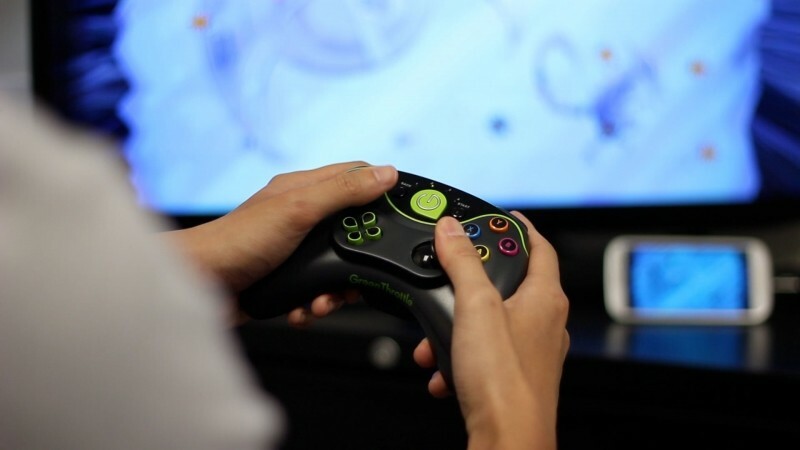 Green Throttle launched back in 2012 and was criticized for being late to the Android gaming space, behind competitors like the OUYA and PowerA. The company sold a custom Bluetooth controller called the Atlas that paired up with its Android Arena app. While Google is yet to talk about what exactly it wants with Green Throttle, reports suggest that it has something to do with revamping the Bluetooth controller tech for the company's long rumored set-top box. There is no confirmation at this point of any of this, but it is clear that Google is taken an interest in some kind of new gaming hardware initiative.